We recently completed upgrades to our repair shops, and are looking to add two mechanically-minded welders to our shop team. We offer very competitive pay and a complete benefit package. Click here for more information and ways to apply! The company began in 1963, when William J. Pullen (Bill) began selling feed mixers from his father’s feedlot. Since then, the business has grown to locations in Central City, Nebraska; Lexington, Nebraska; and Pierce, Colorado. Our employees are experienced with selling and servicing equipment, and have mixer and scales experience of 200+ years. We sell and service ROTO-MIX® feed mixers, including horizontal, vertical, and rotary model mixers, ranging in size from 270 through 1505 cubic feet. 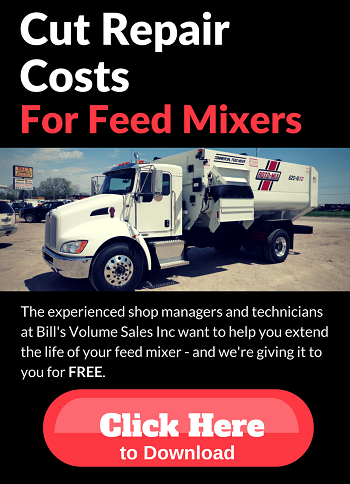 We also offer service for major brands of feed mixers, with 2 million dollars+ of parts inventory in stock. Our new equipment inventory includes ROTO-MIX® feed mixers, Haybuster Hay Processors, Manure Spreaders, Renn Roller Mills, Automatic Roller Mills, T&S Trip Hopper Cake Feeders, EZ-Rake Silage Rakes, and Easy Clean Bunk Sweepers. Click here to see photos of our new equipment. Our service shop reconditions trade-in units to restore them to good operating condition. Customers find that these reconditioned units are excellent alternatives to new equipment for smaller operations. Used and new trucks in our inventory are heavy duty and have the correct specifications for adding a mixer. Click here for photos and information on our used equipment inventory. Electronic scales are a critical component to a successful feeding operation. We have in-house electronic scale staff and parts to provide top notch service for your scales. Our customers primarily use DIGI-STAR scales, but we provide service for other brands as well. Meet our scales staff (click here). The service shop has the latest technology to diagnose and repair feed mixer issues. Experienced technicians will efficiently repair your mixer. We also have rental units available to limit down time due to in-shop repairs. We also offer service calls to help get your mixer up and running as quickly as possible. Our diesel shop handles truck repairs without the need to haul your mixer to multiple locations to complete repairs. Click here to meet our service staff. Click here to meet our parts managers.